We also provide a document with questions you should ask your oncologist before doing anything else. You will be shocked what you might hear from them. This can shaken you up so much that you want to run away. In chemotherapy treatments, they target fast growing cells by using toxic drugs. You can take these drugs in pills, capsules or liquid ingested orally. Other ways are through intravenous- or intramuscular injections. Doctors give you these drugs so that they can circulate throughout the body and kill cancer cells.These drugs can't see the difference between healthy cells and cancerous cells. So they destroy healthy cells too. The form of drug they give you depends on the location or type of cancer. Sometimes the drug is only delivered to the area of the tumor through narrow tubes or other means. Patients may get several chemotherapy drugs spread out across weeks or months. Doctors immediately tell their patients to start chemotherapy after the diagnosis. They treat cancer as the enemy that you have to kill for it to stop growing. Removing these tumors is a big mistake because cancer protects the body in its toxic state. What I’m going to tell you now can save your life. Never do chemo before reading about the catastrophic side effects of the treatment. The drugs used in chemotherapy are toxic and make it harder for the body to heal. Surgery, chemotherapy or radiation, cannot remove the cause of cancer. Doctors can tell the patient that they got it all. But that doesn’t take away the leading cause of cancer. Within two to five years the tumors will usually grow back. The body is unlikely to make it through a second treatment years after the removal of cancer. Using chemotherapy makes little sense, as it is like treating toxins with toxins. Nobody would clean their house by using dirt or wash their dishes by using more food waste. By adding more poisons in the body, cancer becomes even more aggressive and makes it worse. ​Discover how Big Pharma has suppressed the cure for cancer. Read this blog post here. You cannot defeat darkness with darkness; only light can do that. Nurses that administer chemotherapy have to wear gloves not to burn their skin. And this is what they inject in patients. It's no wonder why there are so many side effects. If you thought that was bad, then the next thing I’m going to tell you will shock you. In December 2004, researchers published a 14-year study of cancer patients. Scientists at the Northern Sydney Cancer Centre examined the 5-year survival rates of chemotherapy. They studied 22 types of cancers. In this study, they examined 154,971 cancer patients from America and Australia. The patients were 20 or older. They were treated with conventional treatments, including chemotherapy. Only 3,306 could credit their survival to chemotherapy. The five-year survival rate in adults was about 2.3% in Australia, and 2.1% in the USA. The best results came from treating testicular cancer and Hodgkins Disease. Remember that these diseases are easy to treat even without chemotherapy. Kidneys, bladder -, pancreas-, prostate- and some other cancers had zero effectiveness with it. Only 2% on average of the patients using chemotherapy survive. If they survive in the first place, they usually get a recurrence 2-5 years after the first treatment. And then die after the second treatment. Would you go to a psychotherapist that only had a 2% success rate? Or pay someone to do work for you where they only succeeded in 2% of the cases? No one would do that. So why do we all put all our hope into a cancer treatment that doesn’t work? People tell how horrible cancer is and how it destroys the body and kills it. Never do they blame the drugs for it. The drugs usually kill patients, not cancer itself. Let me show the devastating effect of chemotherapy by sharing a sad story from my life. In 1999 the husband of one family I knew fainted and got rushed to the hospital. The hospital discovered a brain tumor. At first, the doctors said that the tumor was benign. But after further examination, the noticed that is was a malignant tumor. They gave him a small chance to survive and ordered him to do surgery and chemotherapy. This man had a wife and four young children. When I visited the family, I was in shock. The most intelligent person I knew had problems forming words and speak. ​​Afraid of trying natural cancer treatments? Read this blog post to learn how to let go of this fear. ​Afraid of trying natural cancer treatments? Read this blog post to learn how to let go of this fear. The days consisted of lying on the sofa too weak to do anything. His wife had to assist him in everything he had to do. One time he fell when his wife was away and had to wait for her to get up. It was hard for me to witness the downfall of this man. Then something happened that I never forget. On the same day as my little sister's birthday, this man died. I was in shock. Later that day I visited the hospital. The second I stepped into the hospital room I saw my first dead body. Seeing his dead body was too much for me, and I started to cry. I sent an SMS to my older sister about the death of this man. Later I got a call from my sister. I heard her sobbing, and we decided not to go to our weekly guitar practice. Everyone told me that cancer did all this. But I know that the aggressive treatments caused the death of this man. What broke my heart the most was that these four young children would never see their father again. 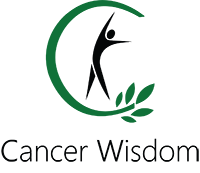 Most cancers can improve by correcting the underlying causes for it. So now you might wonder, why do doctors keep doing these treatments if they show no benefit? To understand this, you need to learn about the greed in the medical establishment. Why do doctors use these treatments if they don’t work or create suffering in other people? It’s because of the pharmaceutical companies want them to use it. The cancer treatment drug generates billions of dollars in earnings. The pharmaceutical industry's 20 top-selling cancer drugs generated sales of $53 billion in 2013. Roche's Rituxan, Avastin and Herceptin led the pack, with $21 billion in sales for these three drugs alone. Roche's top oncology line represented about 40 percent of the top 20 in combined sales. The cost of cancer drugs can range from as little as $100 to as much as $65,000 a month, for some newer medications. Brain cancers cost the most to treat. An average of more than $108,000 in the first year after a diagnosis in women and more than $115,000 for men. If we all treated cancer with natural methods, these companies would go out of business. We continue to let these fraudulent companies sell their poisons and get away with it. Before you go, let us summarize what we learned today. Then I'm going tell you the next steps you should take. Chemotherapy is a toxic treatment method. It kills fast growing cells by using toxic drugs either in pills, capsules or liquid form. Other ways are through intravenous- or intramuscular injections. The list of side effects of chemotherapy is vast. The survival rate of chemo is only 2% according to a major study. Corporate greed keeps this deadly method alive even though it shows no real benefit. So what do you do now? I prepared seven simple steps you should follow. Doing them can save your life. So right now download the chemo questionnaire here and read through the questions. Use this qquestionnaire at your next meeting. The reason I’ve created this document is to make you in charge of the meeting with your oncologist. These questions challenge your doctors and reveal the corruption in this industry. Choose the questions that you like the most or come up with your own. If you have an appointment with your oncologist, then bring this document with you. Then start asking. Notice how they answer the questions? Do they avoid the issues and change their answers or become angry at you? After you have listened to their response, can you know that chemotherapy is the right thing for you? Ask the doctor what drug they want to use and then go to drugs.com and search for it and read the list of side effects. For example, if your doctor wants to use Avastin, search for that term. Look through the huge list of side effects. I bet that after you read through all the side effects, it will be impossible to do it. Excellent Information, Never trust cancer doctors, they pay off their mortgage with your suffering and death. With all due respect that’s easy to say when one doesn’t have cancer , my husband has pancreatic cancer , chemotherapy may be poison but by the same token there’s no amount of nutrition that will save his life . How do you know that nutrition will not save your husband’s life? I have read testimonies of those who were healed of pancreatic cancer. Or at least lived many fruitful years using different protocols.